Stephen Crane was born in Newark, New Jersey, on November 1, 1871, as the 14th child of a Methodist minister. He started to write stories at the age of eight and at sixteen he was writing articles for the New York Tribune. Crane studied at Lafayette College and Syracuse University. After his mother's death in 1890 - his father had died earlier - Crane moved to New York, where he lived a bohemian life, and worked as a free-lance writer and journalist. While supporting himself by his writings, he lived among the poor in the Bowery slums to research his first novel. 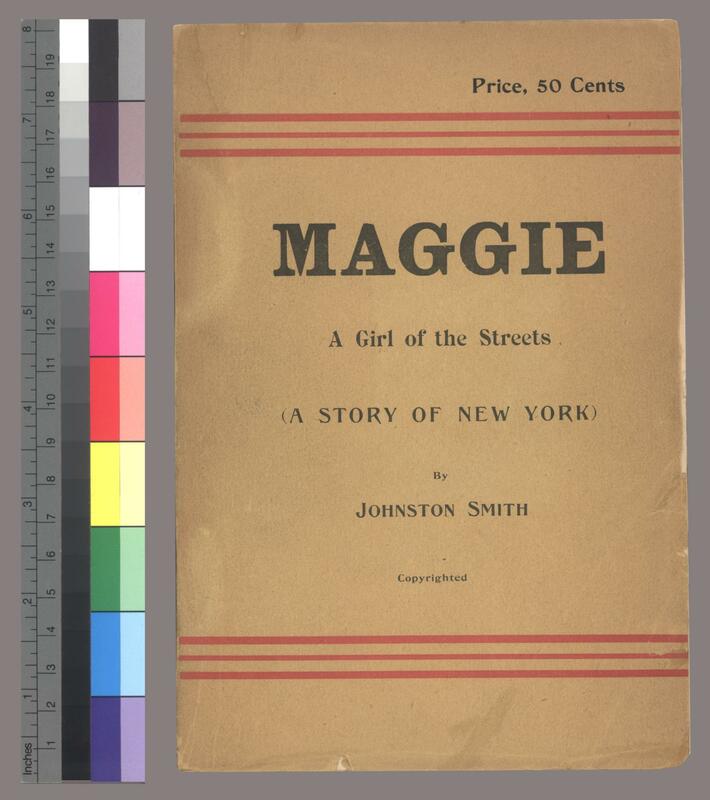 Crane's first novel, Maggie, A Girl of the Streets, is the tale of a pretty, young slum girl driven to brutal excesses by poverty and loneliness. Crane had to print the book at his own expense, borrowing the money from his brother. The novel's sordid subject, its air of relentless objectivity, and its sense of fatalism have led some historians to claim it as the first American naturalistic novel, a claim supported somewhat by Crane's statement that he intended it "to show that environment is a tremendous thing in the world and frequently shapes lives regardless." The novel is original in its conception, and remarkable in both the brilliance of its method and the vitality of its language. Stephen Crane died of tuberculosis at the age of 28.